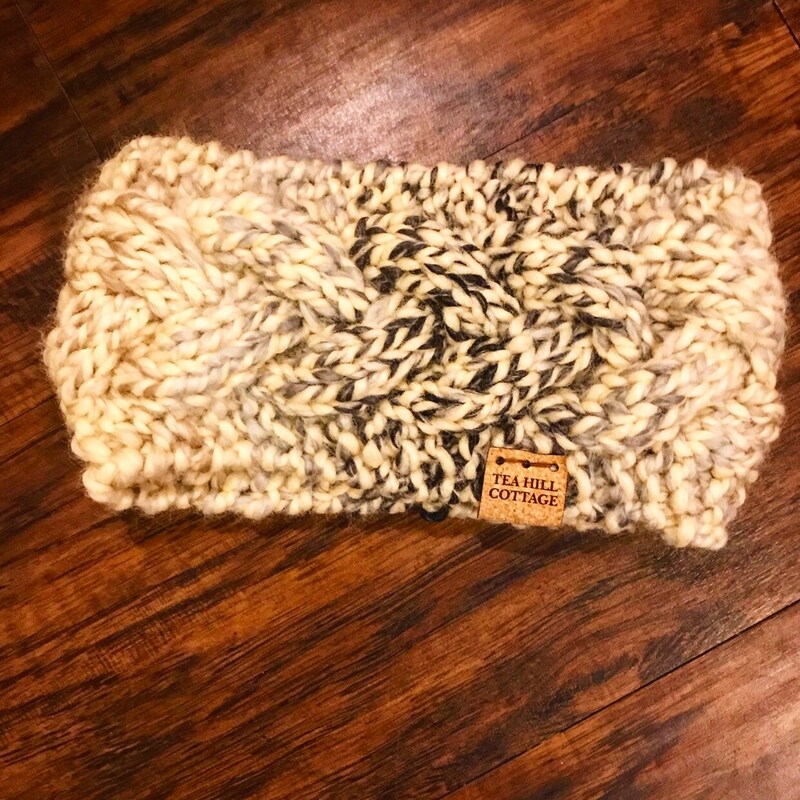 This hand knit earwarmer will be a great addition to your winter wardrobe. It is warm and cozy and fits snugly around your ears to keep the cold and wind out! It fits a teen or adult head. I used a bulky weight, soft acrylic yarn in a pretty cream and gray color way. It will easily coordinate with a variety of colors. I’m a teacher and am outside daily for cold recess duty! I am grateful for my hand knits! Get one for yourself or one to give as a gift. I used the Emma pattern by @vanessaknits. The cork label is from @allthiswood. This earwarmer was made in my smoke free and pet friendly home. Hand wash and lay flat to dry.